Day 26: After Romeo visits again! Two days in a row of action packed lunches! 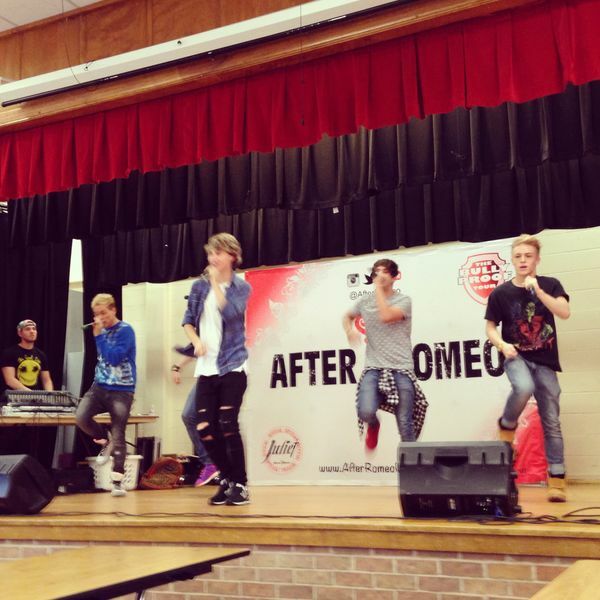 After Romeo came to perform for all three grade levels today during lunch. They carry an anti-bullying theme and spread the message of 'Just Be Nice', in addition to their original songs and dances. Screams (from mainly the girls) could be heard throughout the cafeteria and probably for miles around!